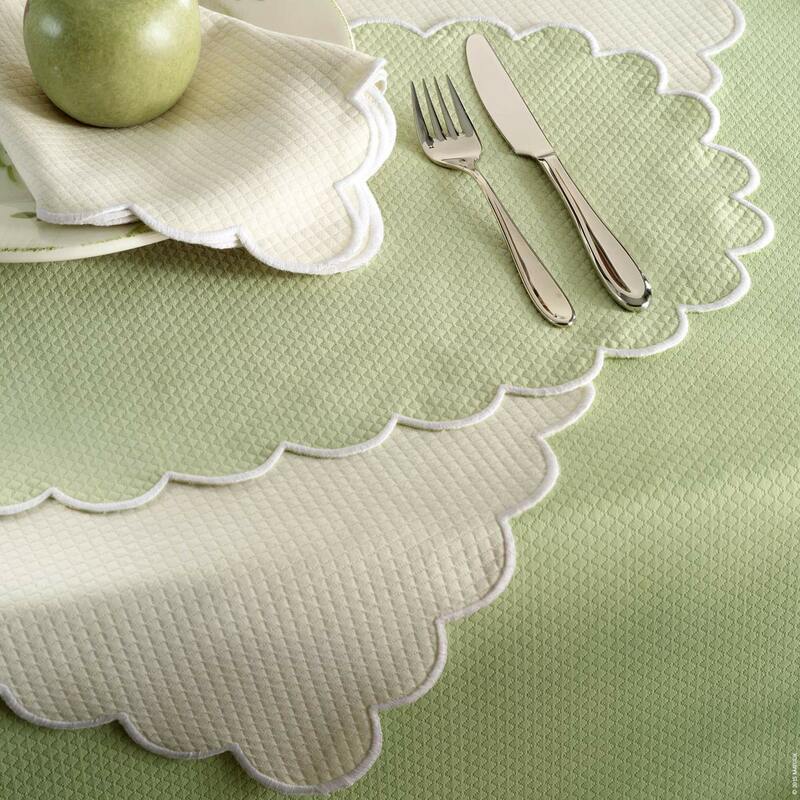 Matouk's Savannah Gardens table linens are an easy-care diamond pique with a scalloped edge. Easy care linen. Matouk's Savannah Gardens table linens are an easy-care diamond pique with a scalloped edge. Easy care linen. 60% cotton / 40% polyester Easy-care diamond pique Scalloped edge Made in the U.S.A. of fabric from Portugal Machine wash and tumble dry low. See product label for exact instructions.